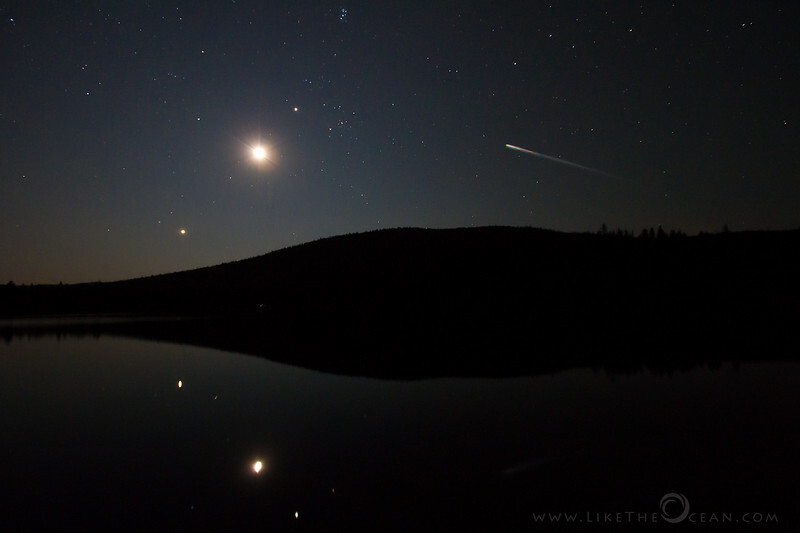 Shooting Star(s) & the Moon, the Venus, the Jupiter etc. Sleeping under the stars is an experience unto itself. In addition, being away from the city lights takes on a whole new level of fun when you start taking star pictures :) In expectations of capturing a moment of Presides Meteor shower, headed to Trillium lake over the weekend. Overall the meteor shower was pretty elusive than expected, always managing to put a show where the camera was not pointed. As the night was passing by I was worried that the moon rise (around 1:30 AM) might reduce the possibility of meteor sighting. But was pretty surprised when everything just lined up just (around 3:30 AM) – the Venus, the Moon and the Jupiter – and a meteor was even adorning the scene !